The DJ Tech Tools Chroma Angled USB Cable is a premium-quality USB cable that has been optimised for audio applications. This eye-catching USB cable features noise filtering technology, minimising any interface along the signal path. The cable features a straight and an angled USB connection, making it ideal for audio devices such as controllers and audio interfaces, the angled cable also helps to prevent any accidental removal. The cable also comes complete with a velcro cable strap allowing you to easily wrap up your cables while on the move. The DJ Tech Tools Chrome Angled USB Cable is the ideal choice for any musician or audio enthusiast. Each of the cables feature two ferrite core chokes with shielding on the cable helping to eliminate any interference along the signal path. This results in the best possible audio signal and in turn, improving quality and performance. The cable is 1.5 metre in length and available in eight eye-catching colours, suiting any style or any setup. The angled cable helps to minimise any accidental removal due to extensive and prolonged use. This makes it ideal for a range of audio devices from handheld controllers to audio interfaces and more. 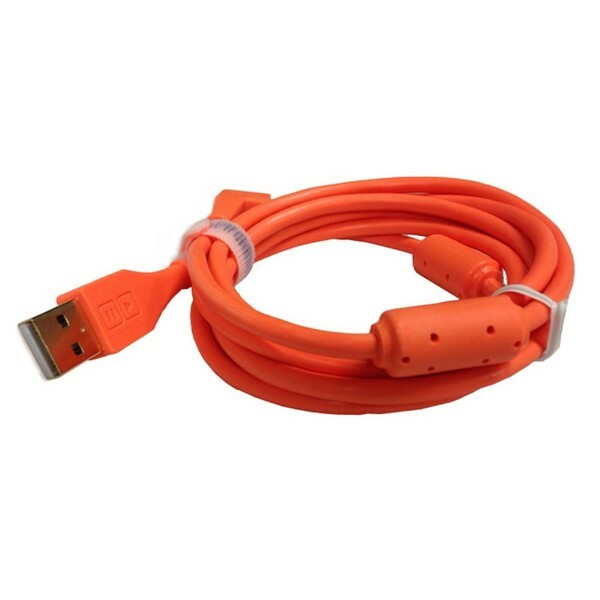 The Chrome Angled USB Cable also features gold connectors ensuring long cable life and high quality data transmission. The cable comes complete with a velcro cable strap, allowing you to easily wrap up your cable on the move.